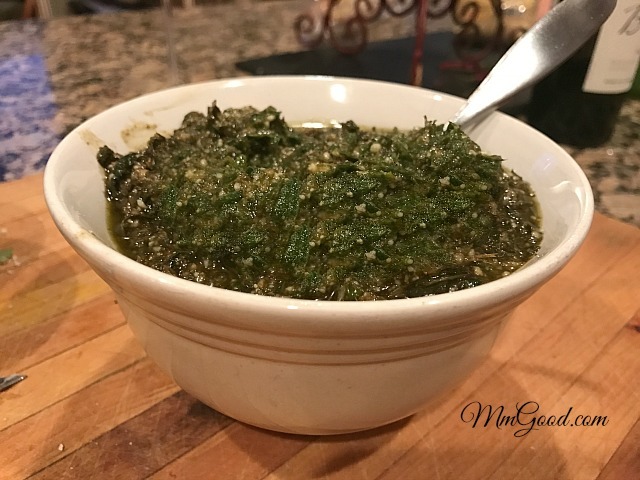 Home » Italian » Homemade Pesto with No Nuts! 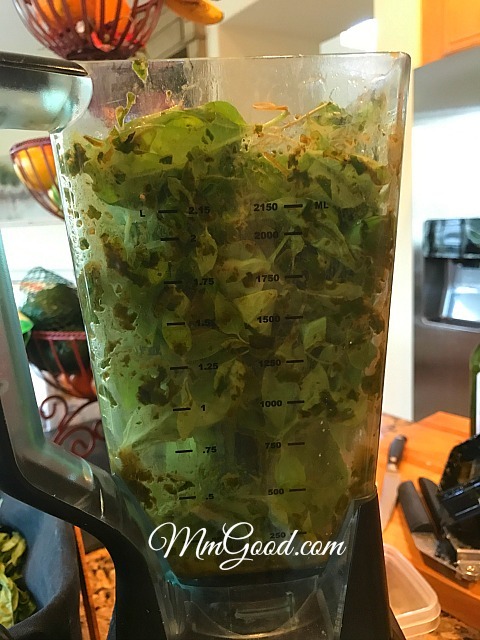 Homemade Pesto with No Nuts! I love when friends share a favorite recipe with me! 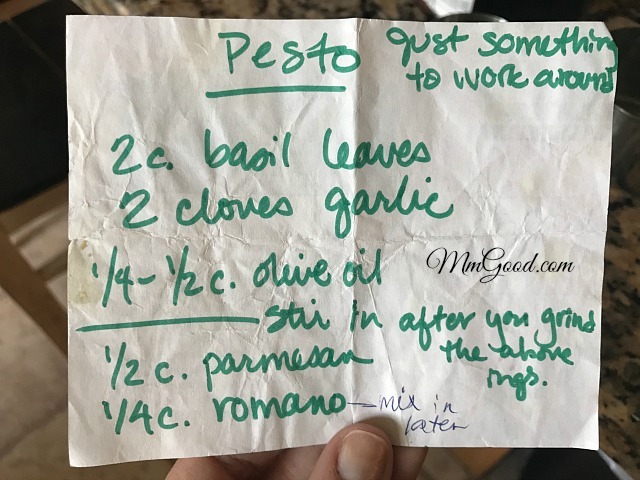 This recipe for pesto with no nuts is a perfect example and was given to me by my dearest friend Janine. What do you do on a Saturday night and you have a basket of basil left from the summer? You call friends over and make an amazing dinner including homemade pesto, homemade pasta and desserts, then you enjoy a feast! 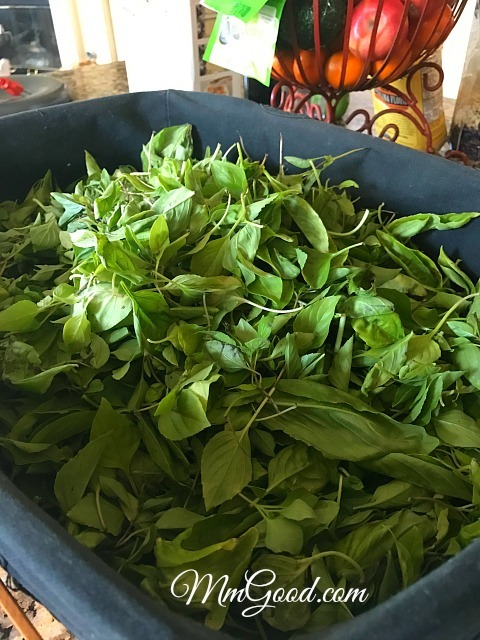 Being Italian I have made many different versions of pesto, all of which had a leafy herb (either basil or parsley) and some type of nut. When my girlfriend, Janine, asked me to come over to share her recipe for pesto without nuts, I knew I had to go to try her version (yes I’m like that), I’m so glad I did as now I can share her recipe with you! 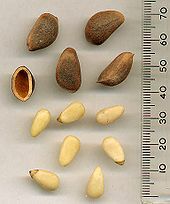 Traditionally pine nuts are used for pesto, I was very curious about the pine nut and did some research, do you know what a pine nut is? here is the original recipe, stir in the cheese at the end, making sure is ground Parmesan cheese, we only used the Parmesan cheese and it was perfect! I am going to say you will not miss the nuts in this recipe! We actually tried making the pesto with and without nuts and we both enjoyed the nut-less pesto better than the one with nuts. With so many allergies to nuts this is a great option to friends who have issues and also, nuts have been expensive lately so omitting them will also save you money! In a blender place the garlic and basil leaves. Turn blender on and slowly drizzle olive oil (do this until you get the consistency you desire). Place in a bowl and stir in cheese. Enjoy!